If you, like many other glasses wearers, are stuck behind thick lenses that limit your choice of frames and distort the appearance of your eyes, a pair of high index eyeglasses are a real luxury. In fact, they’re one of the best treats any glasses wearing adult can give themselves with a sleeker look, greater fashion options, and significantly improved visual clarity in both directions. 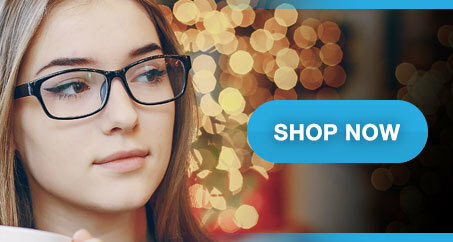 Whether you go for a simple 1.59, a moderate 1.67 or the full 1.74, high index lenses do tend to be a little more expensive than standard plastic or glass lenses so you naturally want your beautiful new eyeglasses to last the longest possible amount of time and we want to help you. Scratches, cracks, and damage to the frames can be easily avoided simply by following these ten helpful tips for taking good care of your high index eyeglasses. Your first act of protecting your new glasses should occur before the lenses have even been crafted. While sitting with your optician choosing slender new frames to suit the high index lenses you just ordered, make sure to ask for scratch resistant coating. This is a special painted-on layer of protection that will help to prevent the occasional bump, scrape, and time spent in your pocket from putting scratches on your wonderful new lenses. While you’re at it, don’t forget to ask for anti-reflective coating as well to counter the reflectiveness that comes with all high index lenses. For those of us who have been wearing glasses what seems like our entire lives, it’s all too easy to forget that you’re not supposed to clean them with the end of your shirt. After all, finger smudges happen and your shirt is right there. However, ask yourself: is your shirt clean enough, soft enough, and what is it really made of? If you wear downy soft 100% cotton shirts only, the shirt end may be safe but otherwise keep a microfiber cloth handy for those fingerprint smudges. Try to make a habit of using the cloth and cleaning it regularly. The last thing you want is to accidentally rub your new lenses on some rough polyester blend. Sometimes more than just fingerprints get on your glasses. If you’ve been working in the kitchen, garage, or on some unusual task that gets your glasses sticky or particularly greasy, make sure to clean them carefully. If you have a mild glass cleaner handy this can do the trick but if your glasses need a really good rubdown, choose a gentle hand soap and warm water instead. Air dry or use a soft cotton cloth. Unfortunately, microfiber isn’t a great absorbent. One of the primary ways to accidentally damage your glasses is to put them somewhere precarious without thinking. Avoid knocking them over, forgetting where they are, or risking someone else knocking them over by always having a few designated spots in your home and office where you set them down. This will not only make them easier to find should you set them down and forget about them, it will also habituate you and those who live and work near you not to put hands or coffee cups in those spots. Of course, it never hurts to make sure these spots are slightly protected, like in a bowl or flanked by other stationary items. Just like your shirt fabric, you never really know what’s on the surface of a table. When you put your glasses down, make sure they are either folded closed and resting on the earpieces or open and laying length-wise. Laying them on their lenses is just asking for scratches from sharp particles on the table. As an added note, if you set them open up-side-down with the earpieces pointing up, be careful about the ‘upturned rake’ factor or you might accidentally launch them across the room. You may laugh, but it’s happened to even the most experienced glasses-wearers. Here’s one we all have trouble with: removing and putting on your glasses the right way. Most of us do it one-handed like some movie star tearing off their glasses and shaking out their hair. This may be attractive and fun to do but it also torques your frames every single time. Think how many times you take your glasses on and off and how long you want these new high index eyeglasses to last. When you can, take the time to either remove them with both hands making sure they pull away evenly or, if you must use one hand, try grabbing the nose piece and gently lifting them away. You’re not always going to be near your designated set-down spots so it’s important to have a way to safely stow your glasses while on-the-go. Even if you almost never take them off in public, you never know when the occasion might arise. If you’re the kind of person who always loses a case or hates to carry something bulky, consider a reinforced soft case with a belt loop and an end-access. That way you can holster your glasses like a handgun for quick and easy storage and retrieval. This is also a great way to stow other supplies like your microfiber cloth and a mini-bottle of glass cleaner. Glasses frames can last a long time, but sometimes those little screws in the corners work their way out with no rhyme or reason. Fortunately, you can get a glasses repair kit complete with tiny screwdriver, magnifying glass, and extra little screws at almost any grocery or department store. Some kits even come with their own cloth, case, extra nose pads, and/or rubber-tipped tweezers. Armed for the worst, you should be able to get your glasses back into shape even if they come apart in the middle of vacation, far from your favorite optician who normally does your frames repair. If you do find yourself without a repair kit, a stripped twist-tie threaded through and wrapped around where the screw should be usually does the trick. Even with the scratch resistant coating and incredible care taken with your glasses, sometimes scratches happen anyway. The good news is that with one or more coating types, these scratches may not have actually penetrated the lenses themselves. While you may be tempted to peel off the coatings to remove the appearance of scratches, the best thing for your high index lenses is patience and a visit to your optician. They can then help you remove and reapply the coatings so that your lenses return to the good-as-new state you enjoy. If you have switched from your high index eyeglasses to a pair of prescription shades in the car, it’s very important that you remember to never leave them (or any glasses) in your car during the warmer months. Cars can get up to 200 degrees in a sunbeam in the summer which will cause plastic frames to soften and your lenses to expand then contract when they cool back down. This isn’t just bad for the fit, it can actually warp the lenses and ruin your visual clarity. Once you have mastered all the little habits and behaviors of a responsible glasses owner, taking care of your high index eyeglasses should be a breeze. With the right amount of care and a willingness to visit your optician for any necessary adjustments, your slender new glasses should last you for many years.